Henry was born on January 21, 1921 and passed away on Thursday, September 6, 2018 at the age of 97 with his family by his side. Henry was born in Runnymede, Saskatchewan and was one of 14 children (6 boys and 8 girls) born to Jacob and Anna Elizabeth Leis. Henry was predeceased by his wife Emma in February 1980; his mother and father; four brothers: John, Fred, Alex, and Ron; and four sisters: Molly, Mary, Lydia, and Elizabeth. He is survived by four sisters: Helene Lupo (California), Eleanora Wenger (California), Emma Smith (Mississippi), and Esther Kowalchuk (Canora, SK); and one brother, Jack Leis (Kamsack, SK). At age 21, Henry joined the South Saskatchewan Army Regiment. He served for four years in Canada, United Kingdom, Continental Europe, and Alaska. After returning from the Army, Henry took up farming in the Togo, Saskatchewan area. He met and then married Emma Rudolph on June 8, 1947, and they had one daughter, Marva Kroll (Ray) of Winnipeg. Henry was blessed with two grandchildren: Derrick Kroll (Winnipeg) and Lana Braden (Missouri); one great-grandson, Max Kroll (Winnipeg); and a large number of nieces and nephews. Henry retired from farming in 1981 and moved to Togo. In 1995 he moved to Kamsack, Saskatchewan to be closer to his brothers and sister. He loved to tell jokes, play cards with his brothers, golf, and spend time with his family. He was a strong-willed person and a role model for our family. In October 2009, Henry moved to Winnipeg to be closer to his daughter’s family, and lived independently until the time of his passing. Being at home was where Henry was happiest. He was not much of a traveler, because in his heart he had everything he needed – his family around him. His two grandchildren and his little great-grandson Max brought a lot of joy to his heart. Henry loved his family dearly. He leaves us with many lasting memories, and he will be greatly missed. 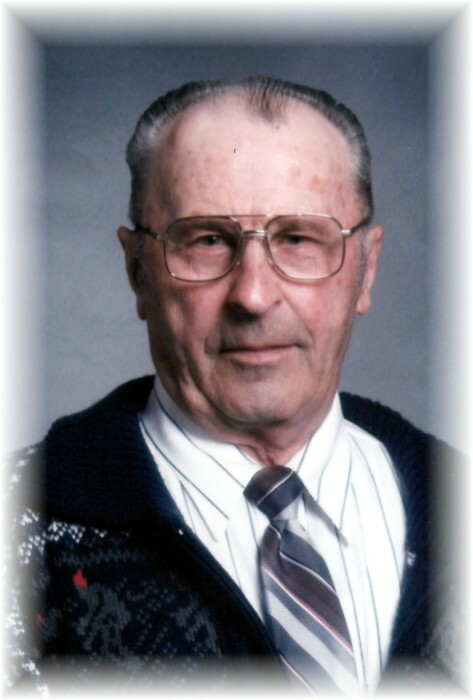 A funeral service will be held at 2:00 p.m. on Saturday, September 15, 2018 at Andrychuk Funeral Home, 346 3rd St, Kamsack SK. Following the service and lunch, interment will take place at Runnymede Cemetery.